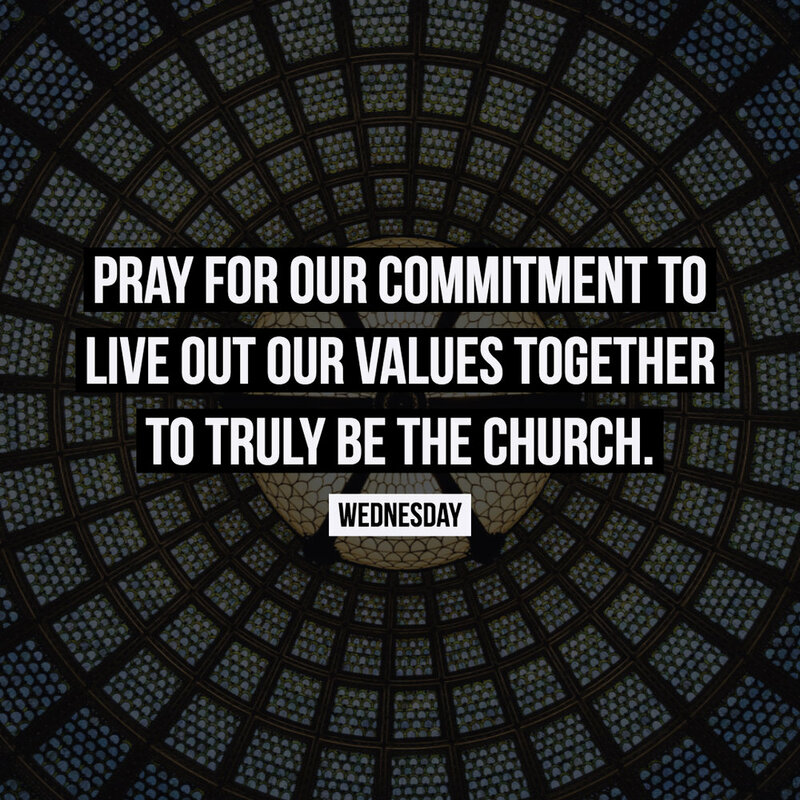 “As a church, we desire to be led by the Holy Spirit because we believe we CAN’T separately follow Jesus or trill be the church without Him. 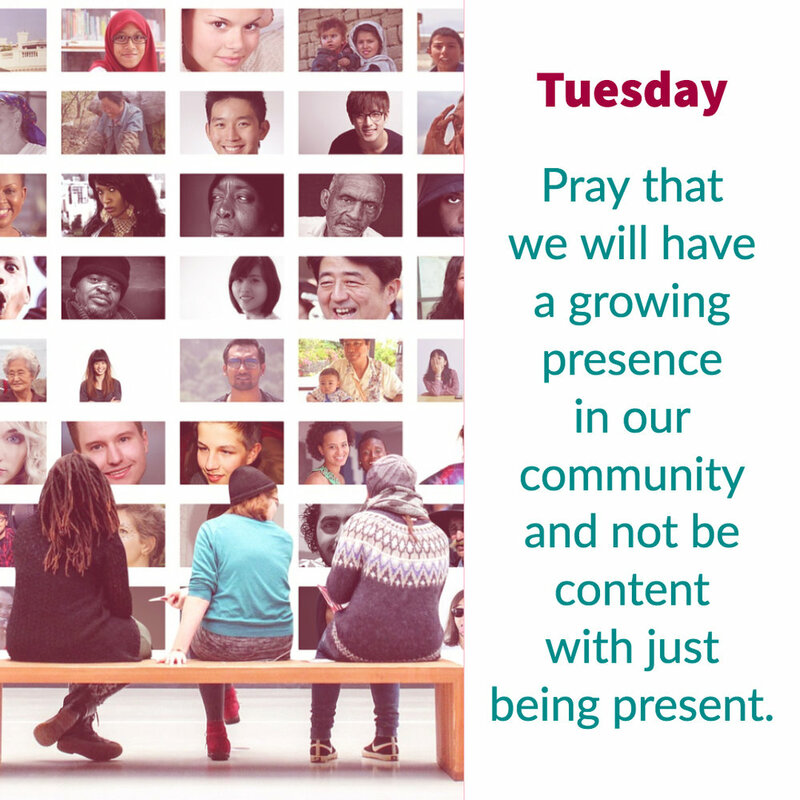 In our striving to be a New Testament, Acts chapter 2 group of believers, we know we need to pray and ask God to continually, constantly, and consistently fill us with the Spirit. 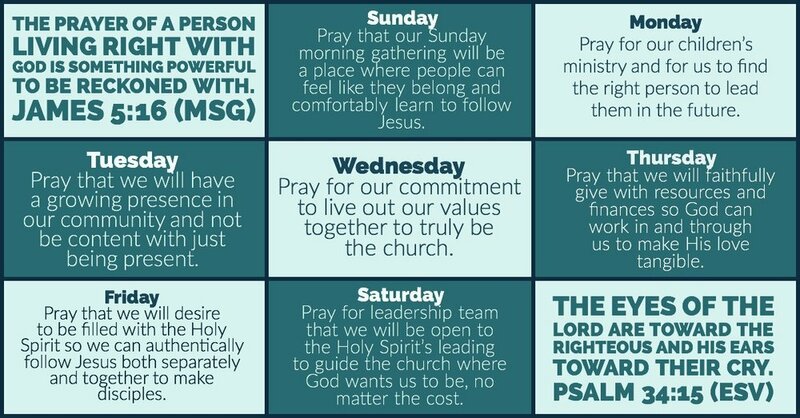 For that reason, DAILY at 2:00 pm, we are committing to pray together wherever we are to seek out God’s blessing to be Spirit-filled believers. 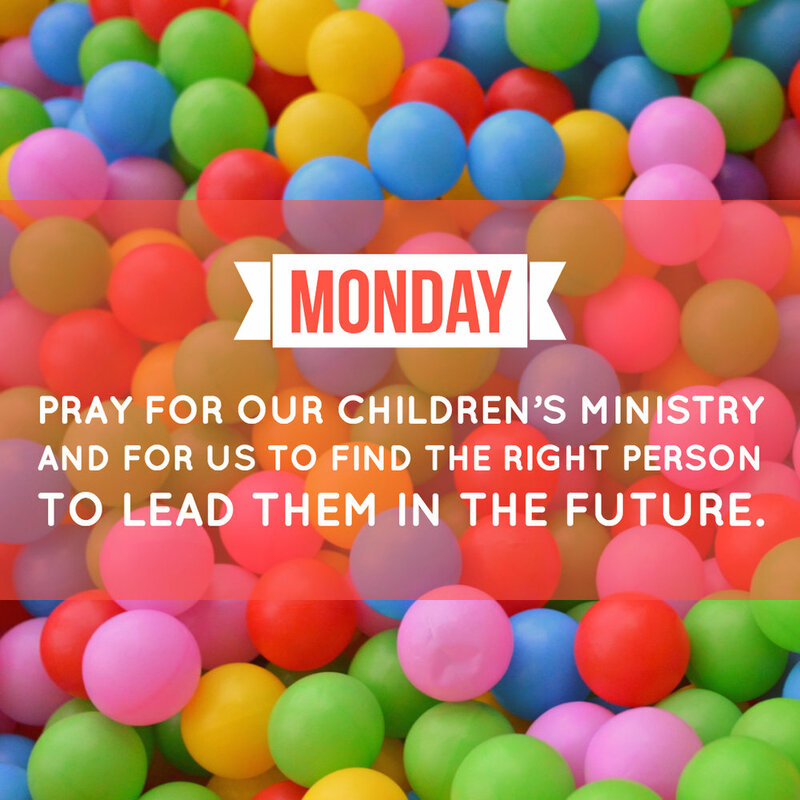 We are praying each day for a specific area of our church. Below is the prayer guide that we have made available. Will you join us?